What is a Clean Title with Used Cars? All vehicles have titles, even salvage cars. 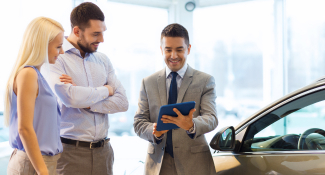 When you buy, sell or otherwise transfer ownership of a vehicle, the title comes into play. Ideally, you want to deal with a clean title when purchasing a used car. A clean title means that you are not dealing with a salvage vehicle. Titles may have other brands aside from salvage title as well. Read on to find out more about car titles, what's on them and what certain designations mean. The certificate of title is a document that states the legal owner of a particular vehicle. It is issued by an individual state's Department of Motor Vehicles. When you directly transfer ownership of a car, you either receive a certificate of title, or you hand one over. However, if you finance the vehicle, the bank owns the car title until you pay it off. Once it's paid off, you can expect a transfer of ownership to your name and then you will hold the car title. A clean title means that the car title has not been branded. In the section for brands on the title, it will be empty. That doesn't necessarily mean the car is free of problems, only that it has never been declared a total loss by an insurance company or found to be flood or fire damaged. Car titles contain a variety of information about the vehicle. Precisely what a title might have tends to vary by state, but the following are some examples of what you might find. This is a unique number used to identify a specific vehicle. Every car has a unique VIN. The number you see on the title should also be the number imprinted on the vehicle. When buying a used car, it's a good idea to check that these numbers match. Numbers that don't match could be an indication that the vehicle is stolen or has been tampered with. Locate the VIN on a car by looking at the base of the driver's side door pillar or on the lower corner of the driver's side dash where it meets the windshield. The model year, automaker and specific model should also be on the title. This information won't necessarily be listed in obvious terms like "1992 Toyota Celica," but instead, it will likely use codes to represent what the car is. The vehicle as mentioned earlier on a Washington State certificate of title lists the model as CG, the style as CP (coupe) and the series/body as CELCP. The car title may display the license number of the vehicle and the date the title was issued, which is typically the date of transfer of ownership, i.e. when the car was sold. The car title may show the mileage of the vehicle, but it also might not. In some states, the mileage section might read as a series of zeros with an E under odometer status. This means that the vehicle is exempt from odometer disclosure, which is merely a result of its age. Car titles exist to establish the owner of a used car. The title should list the current owner and their address. If the vehicle has been financed, it will have the lienholder on it. Once the car has been paid off, it's known as a clear title. Other possible items you may see on a car title include the scale weight, use class (i.e., a passenger vehicle), fuel type, vehicle color and then brands. A clean title will have nothing under this latter area. On the back of a car title is a place to transfer the title. 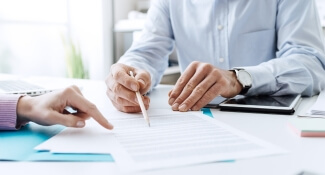 That allows the buyer and the seller to fill out all the required information to transfer ownership. The buyer then takes the title to the DMV and applies for a new title in their name. A branded title is a title where the brand area is filled out to indicate its status. Some brand examples include salvage, rebuilt, irreparable, and lemon or buyback. Title brands cannot be removed except for salvage, which can be replaced with a rebuilt title by taking the required steps. A salvage title will be indicated under the brand section. This means that the vehicle was seriously damaged in some way and the insurance company called it a total loss. However, a total loss doesn't mean irreparable, and the vehicle may be rebuilt by going through the correct avenues. Nevertheless, while salvage remains on the title, the vehicle can't be insured or driven. 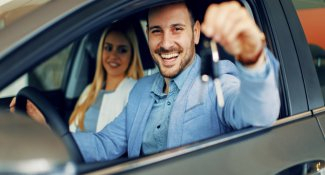 A rebuilt title means that a salvage title vehicle was repaired correctly and then passed a safety inspection issued by the state. At that point, a new title is issued, now containing the brand of rebuilt. It varies on how this type of title is listed. It might be junk, fire or flood damaged. Either way, it means that the vehicle cannot be repaired and can only be used for parts or as scrap. If the title is a flood title, that means that the car sat in deep water that filled its engine compartment. In some states, these vehicles are cleaned up and then sent out of state to be sold. Getting a vehicle history report to see where it's been is one step to avoid buying a flood titled car. Also known as a buyback title, this means that the vehicle had a persistent defect that could not be repaired despite several attempts. Most states require that the title disclose this information. In some states that means a brand that indicates lemon or buyback status. What Happens To A Lost Title? If you lose your car title or it's destroyed, then you'll need to get a new one if you want to sell your vehicle or prove ownership. Getting a new title varies by state, but you'll typically have to deal with the DMV and pay a fee.